"Efficient, Clean, Tidy And Extremely Helpful. 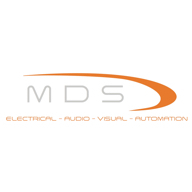 Would Highly Recommend MDS Electrics To Anyone." "Clean Tidy And Quick With Minimal Fuss Got On With The Job. Will Use Them Again"
"The Whole Job And They Work Well." "On Time. Neat Job. Tidied Up." Need a Electrician in Trowbridge?